Torrenting remains one of the most popular methods of file sharing around. Whatever your reason for torrenting, it’s extremely important to acknowledge the risks involved. One of the best and most reliable ways to protect yourself when torrenting is through the use of a virtual private network (VPN). Many people don’t realise that anyone torrenting the same file as you can see your IP address. Your IP is very much like a digital fingerprint. A VPN routes all of your online traffic through an encrypted “tunnel” via a remote server. Your IP address is essentially replaced with that of the remote server you are connecting to. This means that ISPs and enforcement agencies are unable able to tell what you are up to online. With the help of a VPN, you can therefore torrent without the risk of being caught. That said, not all VPN services are fit for torrenting purposes. That’s why it pays to do your research and select a VPN service that is reliable and that will work to effectively maintain your online privacy while using the service. What should you look out for when choosing the best VPN for torrenting? It may seem obvious, but first and foremost, you should choose a VPN provider that allows for peer-to-peer (P2P) file-sharing on its network. Many VPN providers do not allow for torrenting as it is a drain on resources. Many VPNs provide dedicated servers for torrenting. If a VPN provider is serious about protecting your privacy, then it will commit to logging none of your online activity while you’re connected to its servers. A VPN provider that doesn’t maintain logs of its users’ activity will have no way of identifying any individual user on its network. This is especially important should law enforcement or any other legal authority get involved. A VPN provider can’t be forced to hand over what they don’t have! It is also important to make sure that your VPN for torrenting is using a high level of encryption on all of its servers to ensure that your online activity is fully secured while torrenting. The industry standard nowadays is AES 256-bit encryption. This is a military-grade encryption cipher that is virtually impossible to break and is employed by many top-tier VPN providers. If you want to make certain that your ISP or government has no way of being able to detect what you are up to when torrenting then selecting a VPN provider that offers a high level of encryption is critical. Some VPN providers are prone to DNS leaks. A DNS leak is exactly what you wouldn’t want to happen while downloading torrents. 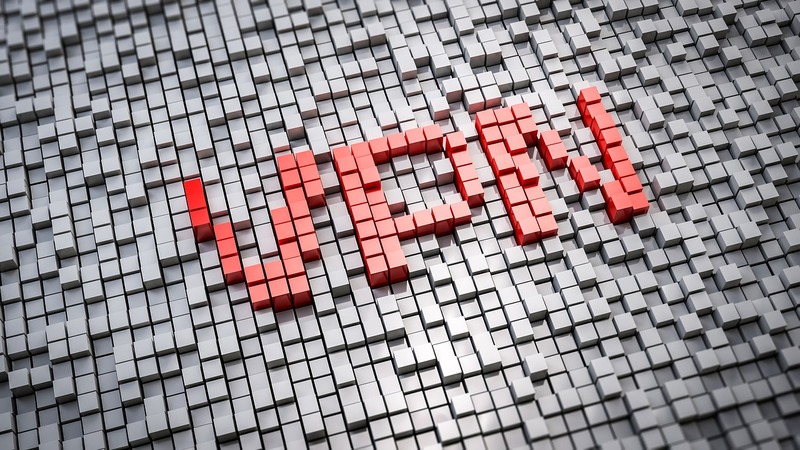 If your VPN provider is prone to DNS leaks, that means your true IP address is subject to being revealed in your torrent client, leaving you vulnerable to potential troubles with your ISP or law enforcement. Therefore, it is imperative that your VPN provider for torrenting offers reliable DNS leak protection. A kill-switch is a useful function that many VPN providers offer their users as a way to keep their online identity protected. Basically, what a kill-switch does is cut off your internet connection should your tunnel to the VPN server fail for any reason. This is an important feature to have available while torrenting because, by “killing” your internet connection, it will effectively prevent your true IP address from being leaked if your VPN connection cuts out. Finally, if you plan on downloading large amounts of content, then one thing you certainly wouldn’t want from your VPN provider is for it to place arbitrary limits on the amount of data you are allowed to download. You also wouldn’t want your VPN provider to throttle your bandwidth while torrenting. This is why it is important to select a VPN provider that caps neither the amount of data you’re permitted to download nor your download speeds. Any legitimate VPN provider should be able to provide you with simple, straightforward, and accurate information regarding each of the points outlined above. If a certain provider is unable to furnish you with this information in a clear and concise manner when prompted, then you may want to continue your search elsewhere. We can’t stress enough how important it is to use a VPN to protect your online identity while torrenting. So, before you start downloading, make sure that you invest in a reliable VPN service that is fully committed to securing your internet privacy.